The 7 of the Best – Golf Safari is South Africa’s quintessential golf, sight-seeing and wildlife safari package – proudly brought to you by Biggestleaf Travel. 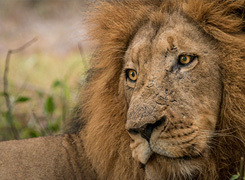 This action-packed 16-day adventure will have you soaking up the sights and sounds of the Mother City; indulging in the tastes and charm of the Winelands and of course, no visit to South Africa is complete without experiencing a Big 5 wildlife safari. Offering rounds of golf at 7 of the country’s best courses, all ranked consistently in the top 55 golf courses in the country – you’re guaranteed a world class golfing experience with a unique South African twist. 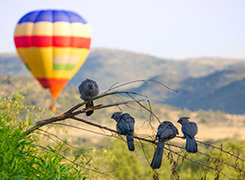 Along the way, you will be treated to some of South Africa’s most beautiful destinations. So, be sure to pack your camera alongside your flip flops and golf shoes – this tour promises to be a golfing/holiday experience like no other. 15 nights accommodation in some of South Africa’s most picturesque places – Including Cape Town, the Winelands, Garden Route and of course, the Big 5 bush! On arrival at Cape Town International Airport you will be met by a Biggestleaf Golf representative and accompanied to your group vehicle/rental car. At your hotel, you will be given a detailed brief on the adventures you can expect in the coming days of your golfing getaway. 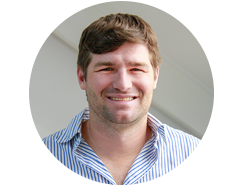 Our Biggestleaf Golf team member will be there to answer any questions you may have regarding your time on tour so please feel free to get to know them and soak up some information on optional sight-seeing attractions in Cape Town and the surrounding Winelands. 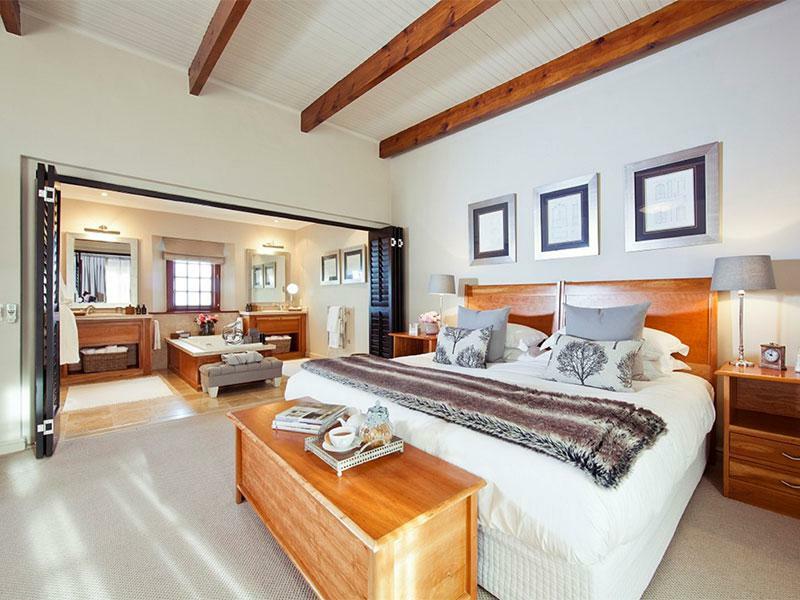 Depart for the town of Stellenbosch along the N2 highway and check into the stunning Majeka House. 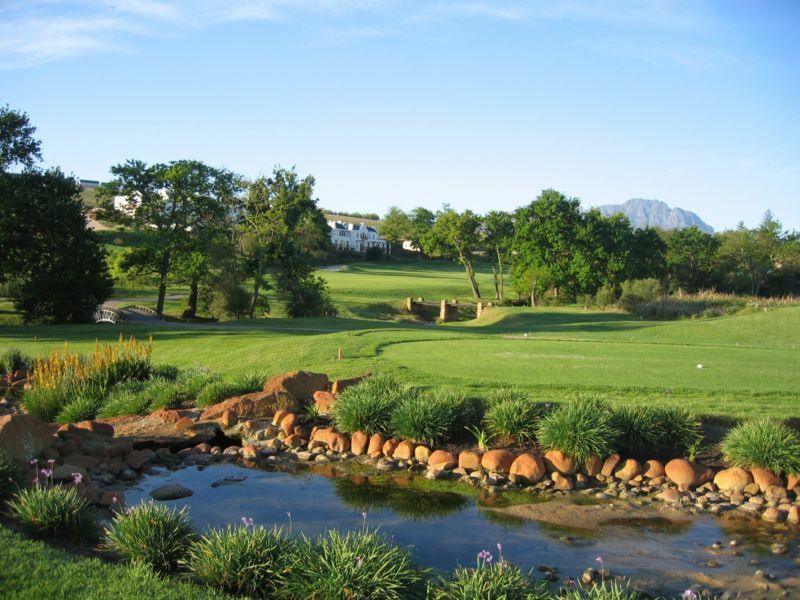 Golf at De Zalze Golf Club – Lunchtime tees. (Optional) Wine Tasting at Spier Wine Estate and a visit to the Bird of Prey Sanctuary. If you are looking to indulge in a famous Cape Winelands food and wine pairing, or an unforgettable culinary experience, we will be on hand to recommend some of the areas award winning restaurants. Afternoon at leisure at De Zalze or perhaps you would like to explore the wonderful town of Stellenbosch and the surrounding area. There’s an abundance of boutiques stores and local shops to enjoy. Drive along the Garden Route to the town of George and check into the world class Fancourt Golf and Country Club Estate. Be sure to stop at some of the quaint farmstalls along the way, they stock great fresh produce and fantastic ‘take-home-treats’ for your loved ones. (Optional) Spend the afternoon in the spa at Fancourt where you will be pampered from head to toe with some of the country’s leading cosmetic and body treatment brands. 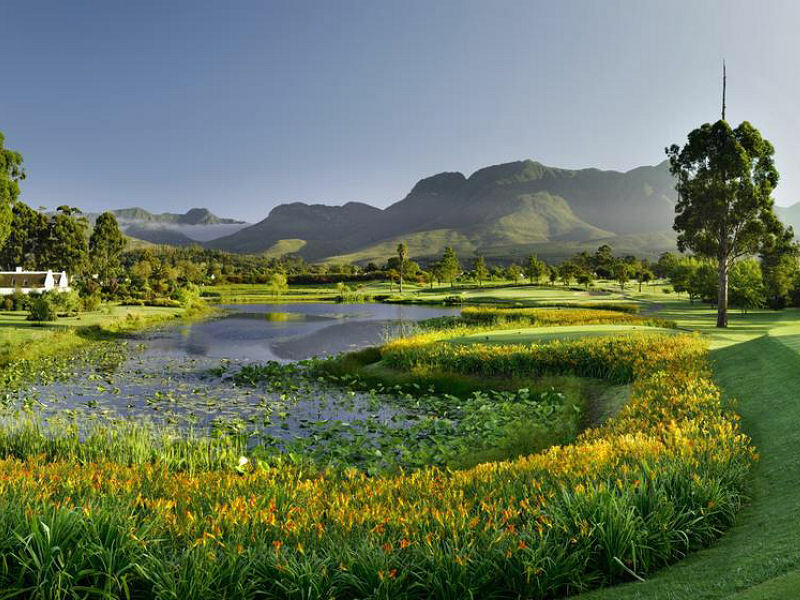 Enjoy a leisurely afternoon at Fancourt . Stroll the manicured lawns, lounge in the sun with a good book, or perhaps you’d fancy spending some time on the state of the art Practice Range improving your swing? (Optional) Golf at the Fancourt Links or enjoy leisurely day exploring the bustling town of George and the surrounding area. If you’re a history enthusiast you may want to pop in to the Outeniqua Transport Museum, while the nature lovers amongst you may enjoy strolling around the Outeniqua Farmer’s Market sampling some of the areas popular produce. Continue along the Garden Route to the town of St Francis and check into St Francis Golf Lodge. This stretch of the journey is very beautiful and sees dramatic coastal landscapes merge with pristine nature reserves. In essence, a little holiday village, St Francis Bay boasts a quaint marina and a stunning assortment of white-walled thatched homes set right on the waters of the canals – it’s a postcard perfect vacation spot. Afternoon at leisure in St Francis which has a whole host of attractions, including horse riding, canoeing, river cruises and more. Or perhaps you would like to relax in the comfort of the lodge that presides over the 1st tee of the Jack Nicklaus designed St Francis Links. The rooms at the lodge boast views of the course, the ocean and the mountains, making it a beautiful place to relax and put your feet up. Check out of the St Francis Lodge and drive along the N2 Highway towards Port Elizabeth. Continue to Kichaka Private Game Lodge, a malaria free reserve that’s home to Africa’s Big 5. 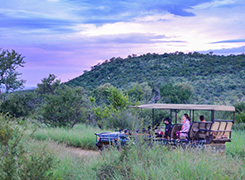 After checking into your room you’ll be taken on a game drive in open-toped vehicle – you will be fully immersed in the sights, sounds and smells of Big 5 country! After a few hours of searching and spotting a wide variety of wildlife you’ll have worked up a hearty appetite – just in time for a scrumptious dinner back at the lodge. Enjoy every unpredictable moment of your full day safari where you’ll go in search of majestic rhino, buffalo and elephant. If you are a big cat lover, keep your eyes peeled for the stealthy lion and the elusive leopard. The plains game (although a little more common to spot) are captivating in their own right, so be sure to soak up every unique animal sighting. 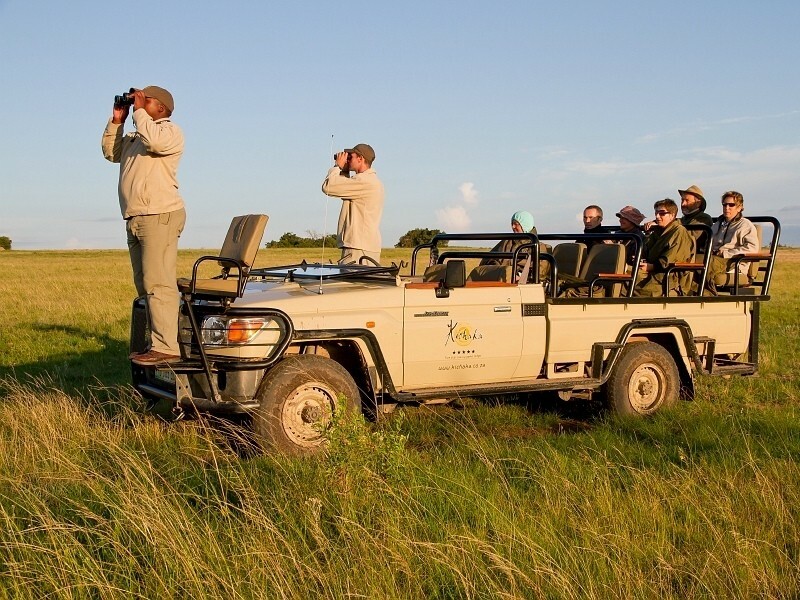 Enjoy your game drive in an open topped vehicle or follow your Ranger as he tracks the game on foot. Check out of the lodge and spend the rest of the day at leisure, before returning your rental car to the Port Elizabeth Airport in time for your flight home. The lavishly furnished Winelands Golf lodges combine luxury accommodation, with spectacular views across the golf course and the Overberg Mountains in the distance. A choice of lodges is available (from one to four bedrooms) each designed to complement the traditional Cape-style architecture of the Estate. These fully furnished lodges offer spacious en-suite bedrooms and living areas that flow onto their very own private patio with an outdoor barbeque area. Positioned to overlook the 1st tee of the Jack Nicklaus designed St Francis Links, St Francis Golf Lodge is the ideal location for golf enthusiasts looking to escape the hustle and bustle of the city and indulge their favourite pastime – all while relaxing in the holiday atmosphere of St Francis Bay. 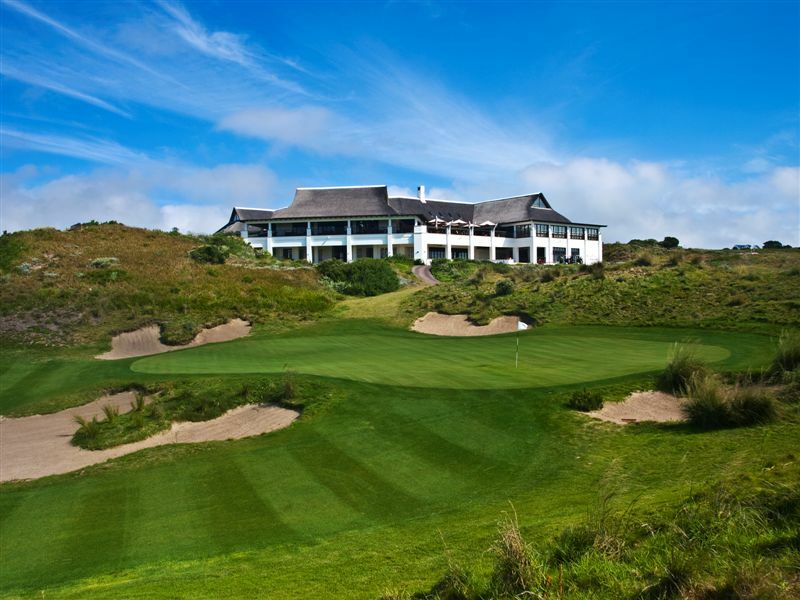 Thoughtful service, laid back comfort, and the opportunity to test your mettle on the award-winning Links course, is all part of the St Francis Golf Lodge experience. Set between two streams in a lush bushveld valley, Kichaka Lodge is an exclusive 5-star lodge located within a Big 5 game reserve, in the Eastern Cape. This opulent lodge sleeps 20 people in 10 secluded stone and thatch suites. Each comfortable space is air-conditioned with a viewing deck where guests can soak up the spectacular views. Each suite also boats its own private plunge pool, a fully-stocked mini bar and free wireless internet access. Experienced rangers maximize every opportunity to ensure exceptional game viewing during each safari drive. Excellent sightings of lion, elephant, rhino and buffalo, as well as cheetah, hippo, giraffe, hyena, zebra, warthog and numerous species of antelope are enjoyed on game drives across the open plains of the reserve. With a reputation founded on the warmth of its character, its outstanding facilities, and steps taken to ensure a true reflection of its motto: “Fraternitas Ludorum” (Brotherhood in the Game), it’s no wonder Clovelly Country Club features on most golfer’s ‘must-play’ list. Ranking as one of the finest and most picturesque and challenging courses in South Africa; it’s a fine blend of testing holes with the Silvermine River and adjacent pools adding to the ambience. Esteemed golf course architect, Peter Matkovich, designer of the De Zalze Golf Course, maximized the stunning setting that surrounds this course, while placing a premium on accuracy. With magnificent mountain backdrops and stunning water features; this exquisite setting presents an exciting and interesting challenge to golfers of all capability levels. Nestled at the foothills of the Helderberg and Hottentot Holla mountains in Somerset West near Cape Town is one of South Africa’s great golfing challenges. Designed by Gary Player, this world class green is ranked as one of the top 20 courses in the country. Positioned in the heart of the Western Cape wine region, the surrounding mountain and sea views play an important part in making this golf course an unforgettable one. The links at St Francis is a championship course that offers golfers every challenge and reward the game has to offer. As the course lies between seven natural dune scapes that move from east to west, the course plays equally well, yet very differently as the wind changes in direction. One might say that there are two courses at St Francis Links – the East Course and the West Course!